"So what are you making for dinner? ": Hurricane Cooking - Day 5. 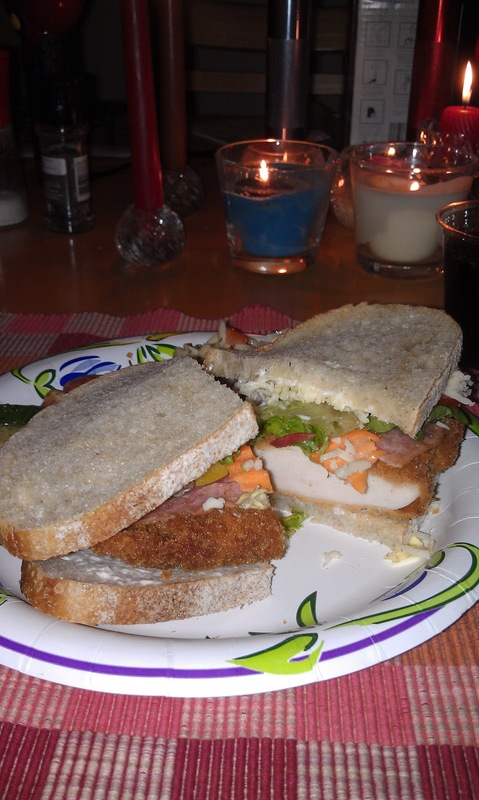 Chicken Cutlet Sandwiches. Hurricane Cooking - Day 5. Chicken Cutlet Sandwiches. Once again Chris brought home dinner. He picked up cooked Chicken Cutlets at Big Y and we made delicious Chicken Cutlet Sandwiches. He also got a couple of side salads. We got an estimate as to when we might get power back… next Tuesday!